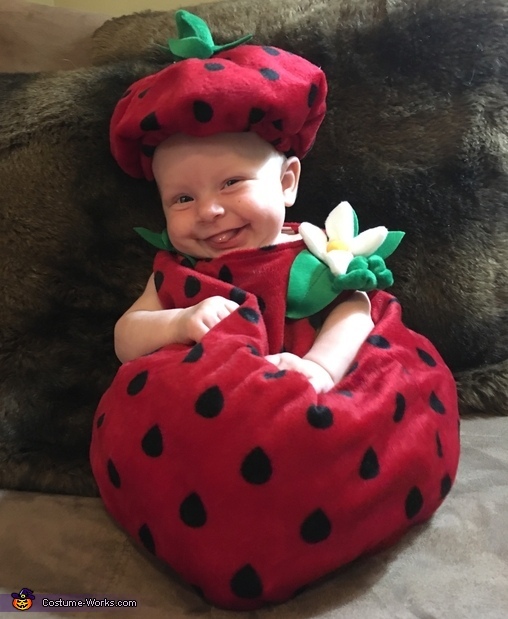 2 1/2 month old Arlynn Rae is sporting her strawbaby outfit this Halloween evening with an ordamental white flower upon the shoulder and stemmed baret hat (seeds included). To finish off her look she is modeling a berry sweet smile that would make anyone just want to eat her up! !